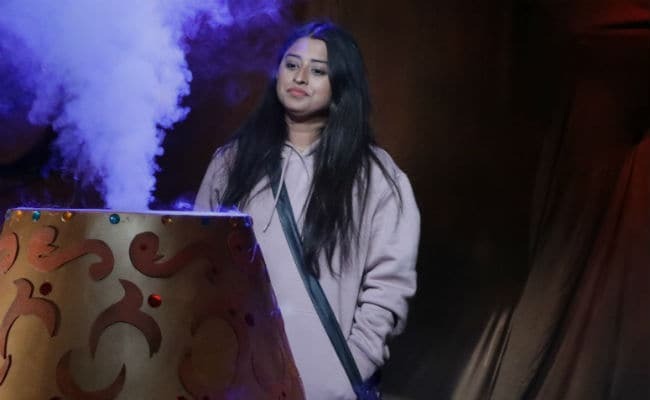 Tuesday's episode of Bigg Boss 12 began on Dipika Kakar bidding bye to her husband Shoaib Ibrahim with a heavy heart. Shoaib was the last guest to come on the show as a part of the luxury budget task in which the housemates were visited by their family members. Later, Deepak Thakur and Rohit Suchanti discuss with Romil Chaudhary what his wife said about his and Somi Khan's friendship. Romil said that he won't interact with Somi much considering how their friendship is being portrayed outside the house. Meanwhile, with just three week more to go for the finale, this week's nomination task was a bit hatke. The task was called 'Jinn Ki Gufa.' As a part of the task, a cave was set up in the garden area, where the contestants would be called one by one to rub the magic lamp placed over there. The Jinn will command the contestant called in the cave to convince one of the housemates to sacrifice something very precious to them. If the selected housemate sacrifices something, then the other contestant in the cave will be saved from being nominated. But... but... but... before the task, a fight between Sreesanth and Surbhi took place. The task began with Deepak being called for before the Jinn. He would be safe from nominations if Karanvir Bohra sacrificed his daughter's toy, he would be saved. It was indeed an emotional decision for Karanvir, but he did it to save his friend Deepak. Next, Somi was called and was told to convince Rohit to nominate himself for the entire season. However, Rohit refused to oblige by it and hence, Somi was nominated. For the task, Rohit had to ask Deepak if he would destroy his family's picture in a shredder. However, Deepak refused to do so and said it's all Rohit's 'karma' and for him, he wouldn't destroy a precious thing, as he had backstabbed him. Karanvir was challenged to make Dipika destroy the jacket gifted to her by her husband Shoaib. However, Dipika refused to do so and cited his changed behaviour towards her the primary reason for not helping Karanvir. The task for the day ended with these three nominations and it will further continue on Wednesday's episode.